Hot water is definitely a luxury that you miss when you actually have to go without. As someone that did without running hot water for about 5 years while doing this homestead thing and building a house, I can say I was overjoyed when that electric hot water heater started providing the good stuff on demand. When dealing with an off grid situation, hot water can seem like a big challenge. Now more than ever there are an array of options to choose from. Hot water off grid is not without a lot of challenges. You need to be realistic about what you can manage. Here are a few tips for managing your hot water off grid. If you can manage to use cold to soak or wash things then it is for the best. Hot water costs money and resources. When you are off grid and using what you have then you need to be more aware of your usage than if you were living in town with a traditional hot water system. 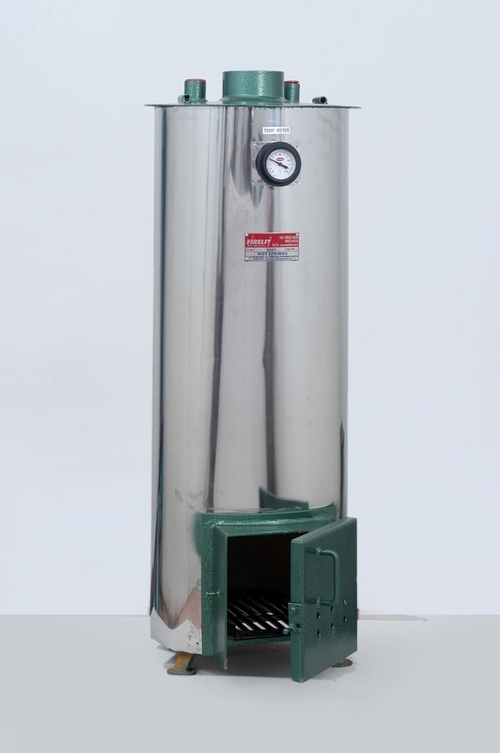 Hot water tanks have a temperature that is set by the factory or the person that installs it. Check your heater and use the lowest temp that is comfortable. If you are not going to be around for awhile you might set it as low as possible without risking your lines freezing. Some may want to look into completely draining systems that are not going to be in use for many months at a time. For campers and travel trailers this type of maintenance is pretty typical but you should definitely consider it if you have a remote cabin or similar you use only part of the year. There may be times when off grid that you really should not be trying to have a full hot shower every day. When Matt and I were living without running water so we could build this house we would let a garden hose lay in the sun so we could hose off after clearing property or pouring concrete. Sometimes if we really wanted the luxurious experience we would find wood on the ground and use it to build a fire under a 55 gallon barrel. It would take a lot of attention and all day but the water would get almost to the boiling point and then you had to dunk it out with pot and temper it with water from the hose. We used a 150 gallon stock tank for the tub. The colder it was outside the longer and more effort it took to get the water hot enough. Washing your hair every day is another thing that is probably not necessary. If you think going a few days without washing your hair is yucky then consider that 100 years ago plenty of women, including those that had substantial resources, only washed their hair about once or twice a month and used powders in between. While that may be a bit extreme, washing your hair every day can actually be pretty bad for it. Most of us probably have a tank style hot water heater. Even newer and “smarter” versions are all based on the principle of keeping 20-80 gallons of water at a set temperature all of the time. Maintaining the temperature of that much mass takes some energy regardless if you are using very little hot water. If you have a tank style heater than insulating the space around it can help out a lot in terms of wasted energy and money. You can buy premade hot water heater blankets or even double them up. A roll of fiberglass insulation with a plastic back can also be utilized. Your hot water pipes also need attention for maximum energy efficiency. The insulation that comes in tubes that seal around pipes can help a lot. For those that live anywhere that they would ever be afraid of a cold spell freezing up their pipes, I recommend PEX style plumbing. We used this in our house and it is great stuff. If it freezes it will not bust and cause a major flooding disaster and leaks. Since it comes in really long sections there are fewer connections and weak points. If you are doing your plumbing now then look to PEX, it is just a lot easier for those new to any type of construction. There is a lot to be said for a water heater that heats on demand instead of keeping a large vat of water at a consistent temperature all the time no matter what your true usage really is. An on demand hot water heater means you are just paying for using water when you actually need it. A single propane tank can last quite awhile if you are just using a bit here and there. These types of systems are great for those that have infrequent needs for hot water. If you have a get away cabin that you only use part of the year or a place you have set up to get away if SHTF, an on demand heater with a good supply of fuel can make a lot of sense. The cost of these units has went down a lot over the years so you don’t have to invest a fortune to have a good system. The downside is that if you use a lot of hot water then you may find that a little grill tank of propane doesn’t go as far as you might like. Some of the on demand propane units are designed for more intermittent use than others. You can buy a portable unit but there are also some that you get a home improvement stores that are made for consistent household use. Make sure to get one that will actually meet the needs of your household and situation. A cheaper price is not worth the frustration of always running out of hot water when you really need it. Good for those that want a portable and versatile solution at a reasonable cost. This unit only weighs 27 lbs! The Eccotemp is appealing because it is a high quality hot water heater that can be used outdoors. Actually looking at this makes me wish I had this years ago when I was using all that cold water while we were building our house and getting all the inspections done. This heater comes with a 9 ft propane hose and regulator allowing you to hook it up to a propane tank, including the 20 lb grill size that is so common. An included 1/2 inch adapter allows you to connect a garden hose. There is a 20 minute safety shut off built in that resets when water is shut off. A raincap is included so this heater can take any weather conditions if needed. You can adjust the heater to handle 20-80 psi pressure which means this heater can work well under varying conditions. Manual water temperature control setting means you can adjust the temperature to make the best use of your propane and ensure your own personal comfort. You can buy a separate kit that includes a shower head and hose. One user reported that a single 20 lb propane tank will last for at least a month with 2 people taking a daily shower while another said a single tank would last 3 months or longer with one person taking a daily 15 minute shower. With any propane set up, the factors that come into play are how hot you have the water temperature set to and how long you take a shower. The outside temperature can also come into play if you are actually using this in a completely outdoor environment. Also keep in mind that there is no indication if reviewers are using totally full tanks. I know that when you exchange a small grill tank at a store they often only have 15 lbs of propane whereas if you get them filled from a larger tank, you have a full 20 lbs to use. Suitable for a whole household and constant use. This is an Energy Star rated tankless propane heater that is made for household use. The 9.8 gpm rate means you are not going to be lacking hot water whenever you want it. This model may cost more than some that you find at home improvement stores like Lowes or Home Depot but it gets really good reviews and as someone that has been guilty of buying a cheaper hot water heater, I can tell you that it is something that you should consider spending a little more on. 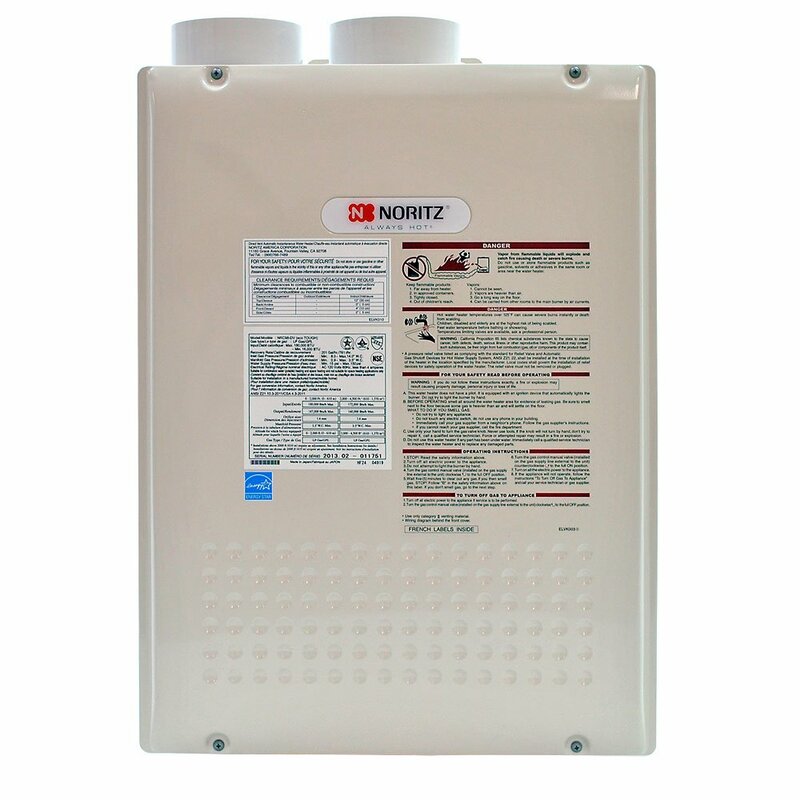 The Noritz has an extremely good warranty with the heat exchanger being covered for 12 years. At 65 lbs this heater is not as cumbersome to install as many heaters are. Even if you have some electric or propane, preheating water using solar energy can reduce your bought fuel costs or energy bills. There are numerous solar collectors for purchase but it is completely feasible to make your own. If you live in a place with a lot of sunshine then solar can make a lot of sense. Of course solar works best in places where you get many hours of good sunlight. During part of the year it may be harder to get water to the temperature you want as fast as you want. A true solar hot water heating system can be a bit complicated to put together yourself but that is not saying it cannot be done. Here is a diagram that is helpful for imagining how a solar hot water system is put together and works. As you can see there are a lot of things that you need to make this system work. Here are a few videos that can help you figure out if this is something you want to do as well as if you have the space and resources to make this work. 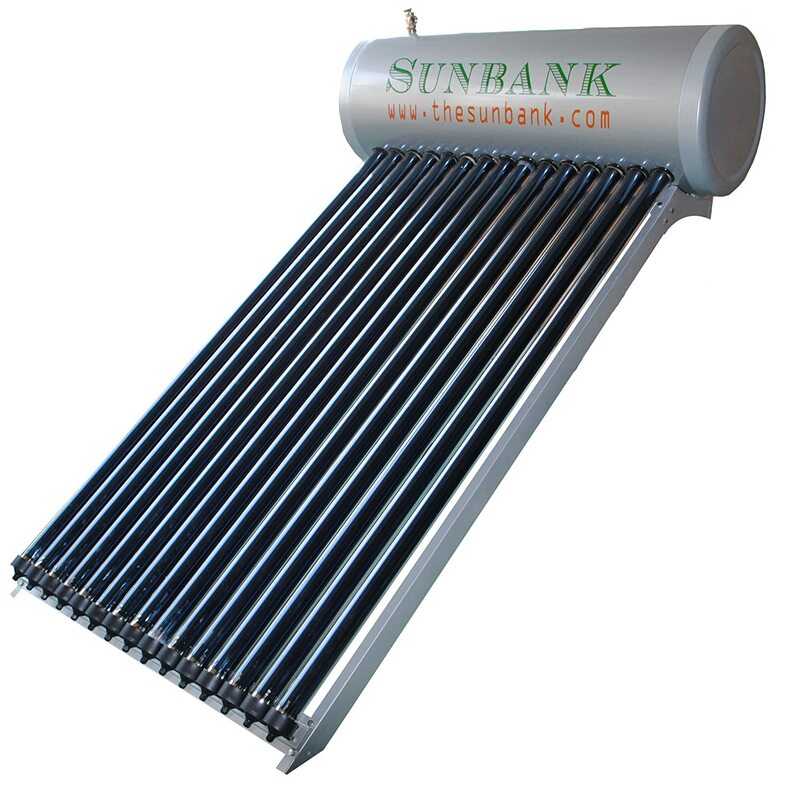 The Sunbank System is a complete system that does not use pumps or glycol at all. This 40 gallon system is designed to retain collected solar heat so well that the manufacturer claims that if water is 140 degrees when you go to bed it will only lose 10 degrees overnight so you wake up to 130 degree hot water for your morning shower and household needs. 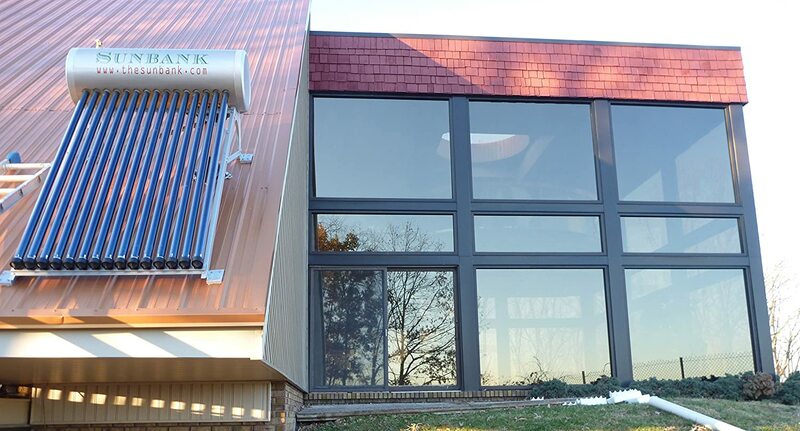 This is not a cheap system but rising energy costs and those that want a reliable and easy to maintain system may want to consider investing in this one. A 10 year warranty comes with every system so you are buying from a company that stands behind their product and offers good customer support. A lot of the fixtures out there are low flow but those that are going off grid on a budget may be tempted to use some second hand fixtures or you may be like us and have friends offer you items from a renovation that are still functional but dated. While the temptation to save cash is always there, this is one time you may want to pass and go with new efficient fixtures. You can take a 5 minute shower with a low flow fixture and only use about 7 gallons of water with it going full blast. This is counting total water flow too not just the hot water you are using. Older fixtures can also sometimes have defects that can cause leaks that seem minor but cost you a lot of hot water and energy over the years. I am putting wood on the list because in a pinch it can work. When we were building the house and wanted a bath we would heat a 55 gallon barrel of water to almost boiling and then dunk it out and temper it with cold water to bathe. It worked and we could use the twigs and windfall from the property. It was actually pretty relaxing at times even if it did take a lot of effort to get that soak in. You can also buy reservoirs or make one yourself that fit onto some wood stoves. Don’t forget that you can put a few pots on the stove top to get enough water to wash dishes or take a quick sponge bath if you need to. There are also some fancier options for those that want a real separate tank. Here are a few to consider. Unfortunately a lot of the really neat wood fired hot water heaters are harder to find in the USA. In countries like India they are more in demand and easier to find. This is an option that is available from Lehman’s catalog. 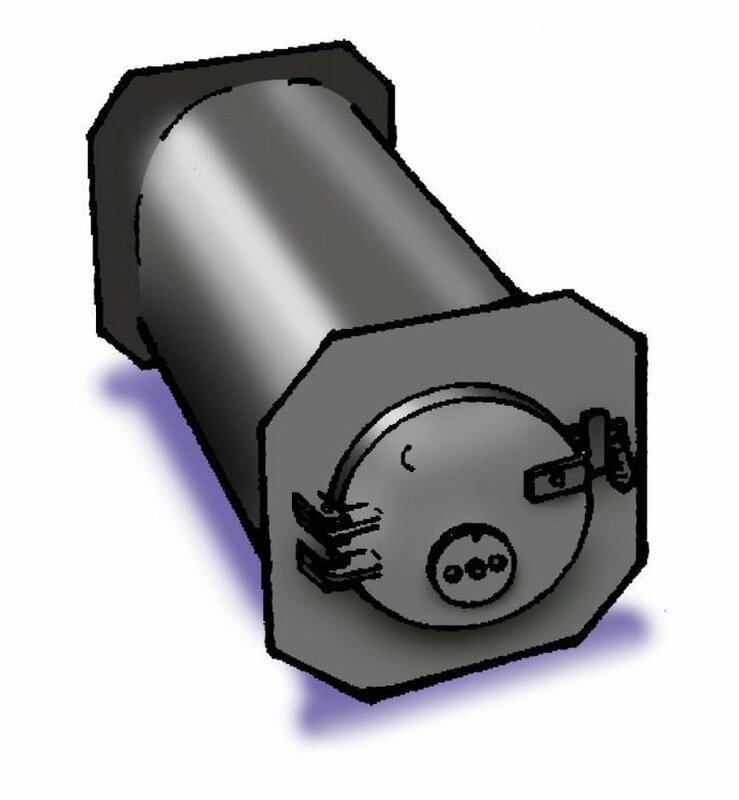 It is a cylinder that allows water to surround your fire box so there is a very efficient transfer of heat. These get great reviews and offer you 15 gallons of hot water capacity which while it may not sound like a lot, really is when you consider that you can heat water to temperatures beyond what a standard hot water heater can offer. The unit is made of 3/16 inch stainless steel so it is made to last you for a very long time. I am searching for a supplier of these hot water heaters but I wanted to show you this unit so it can inspire you to maybe make your own heater for off grid use. Below are some videos that show how others have accomplished building a similar set up but not necessarily one that is hooked into a regular plumbing set up. If I can find a USA manufacturer of this type of heater, I will share in the comments below. I ask any readers to also please comment if they can find a manufacturer of a similar unit. Those with some brands of wood cookstove can use them to heat water for their home with a little ingenuity. Lehman’s has an excellent booklet available to guide you through the process. You will have to invest in what is called a water jacket for your stove and a tank. The water jacket allows you to connect to your household plumbing. The type of stove you have and your water needs make this a set up that is very individualized so it is impossible for me to tell you exactly what you need to do for your unique situation. 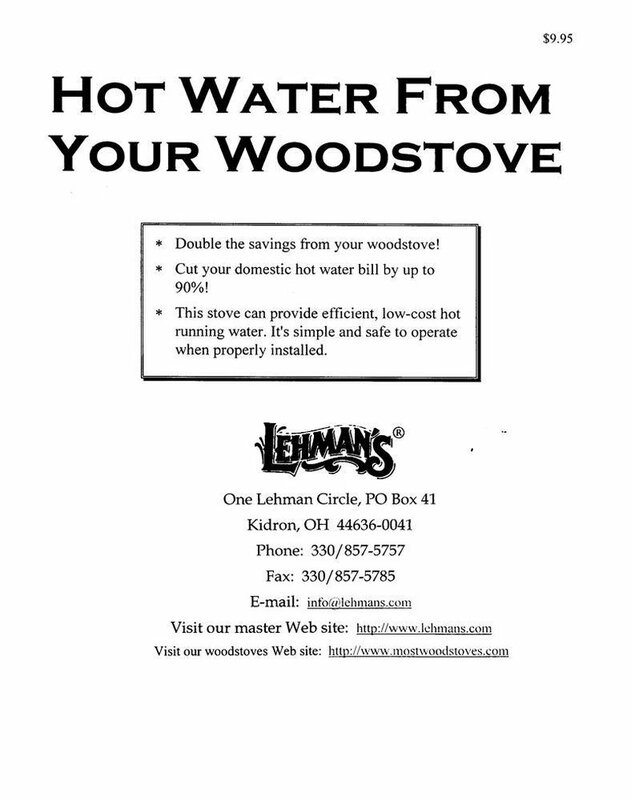 I definitely advise getting this booklet from Lehman’s to get started, especially if you have not even purchased a stove yet. I have to say that in warmer climates, hot water from your wood stove may only be something that is feasible during the colder months of the year. I live in North Carolina and cannot imagine using a woodstove inside in July! What solutions have you implemented for off grid hot water? It seems that a lot of solutions that are inexpensive mean you cannot hook up much in the way of traditional plumbing. Solar hot water systems are somewhat cost prohibitive for most, especially if not made by you! Which on-demand units did you research that led to the few shown??? Paloma, for instance, has been around for a very long time, and from my limited experience is very reliable, with a variety of sizes, readily available parts, etc. Yet again another good article. Black plastic BA water cuboid heated-up by solar, 12V shower pump with adjustable rosette and flow control valve, camping storage crate as the ‘shower tray’, cheap toilet tent for modesty. Keeps the toilet area dry, more control over water flow and cheap as chips. Your information is excellent and I think you have one of the better prepper blogs. But please do review it for the grammar. Sometimes I just cringe at the mistakes and it is distracting from your good info. And it makes you seem less educated than you most likely are. Thank you I appreciate the support! You are a SAINT and a great source of info. How Important is Reverse Osmosis for Drinking Water Filtration? The Alexapure Pro Review – Should You Buy This?